I have tried juice with beetroot in and I really can not abide the taste. I have tried and tried and tried! I am not sure on this conbo for me but would sure give it ago. This sounds delicious. I'd have never thought to have put beetroot in though. Love that deep purply colour - I bet they taste amazing. I Definitely need a juicer... I dont even have a food processor at the moment! This sounds delicious and now I'm craving fruit! Such a great post and lovely blog! I love juicing and smoothie making and anything with beetroot (and ginger) is my favorite! Never tried it with plums though, so I think I'll add it to my shopping list! I really must try this juice combination. Easy breakfast and yes, start my day right! Gorgeous colour and plum and beetroot sounds like a combination I would like to try. Ooh - this sounds delicious. I don't have a juicer but sill try a thick version done in my blender! Don't think I would have thought to put beetroot and plum together, it makes a beautiful colour though, must get a juicer soon! I bet this is sooooo good for you. Sounds delicious. Wouldn't let my kids near it, though - imagine the mess! That looks amazing, I'd love to try a glass. Great juicing recipe. I am soooo jealous of your juicer. I really need one and better start saving! I've been looking for a beet recipe as I tried some great ones at Britmums with Beets. Beautiful color and healthy juice. 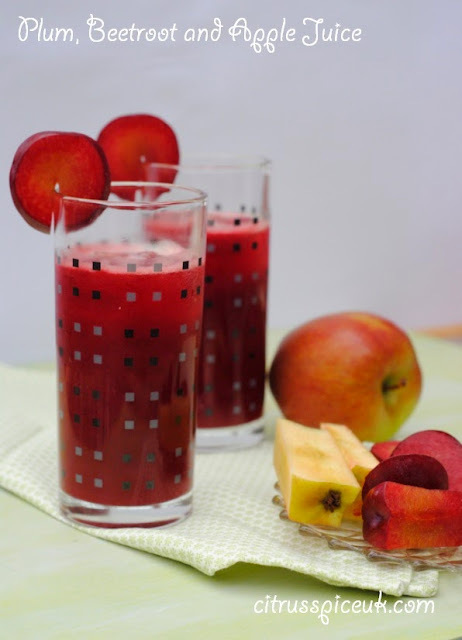 Refreshing and healthy juice.. love the color..
We've just been given a juicer and I had no idea what to do with it. Now I've got my first recipe and I'm going to give it a go! Oh gosh this sounds absolutely delicious and really healthy too. Perfect combination. Sounds like an interesting combination of flavours. I really need a juicer! 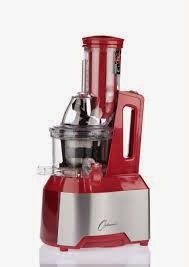 I have just started juicing so am on the lookout for new recipes. I shall have to try this one soon. Interesting combination of ingredients. Still, I would love to try it out!